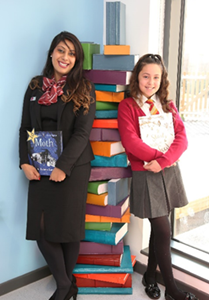 Our library has been boosted by a £2500 donation of books from a local housebuilder, Davidsons Homes, which is building at its Dollman Meadow development in the new community of Houlton. 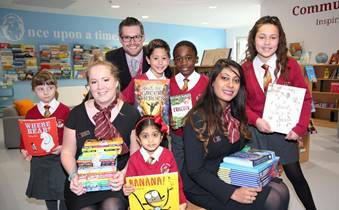 Andrew Taylor, Headteacher at St Gabriel’s CofE Academy, said: “We’re extremely grateful for the very generous donation of £2500 which has helped us to provide a range of high-quality reading material. 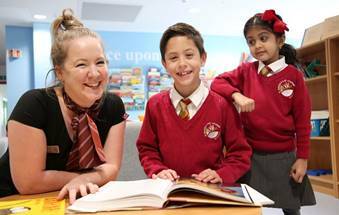 We want to inspire our pupils to become avid readers and a well-stocked school library is key to this. 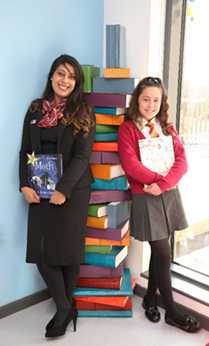 Simon Tyler, Head of Sales for Davidsons Homes’ South division, said: “We’re always delighted to help the communities in which we build and so we were very glad of the opportunity to help this brand new school in Houlton. “The community at Houlton is particularly close to our hearts as we’ve seen it grow from strength to strength since we first started building here in 2016.